Whether you are seeking a long-awaited family holiday or a relaxing break for two, Spain is known to be a top destination in Europe. A friendly and relaxing country that is guaranteed to help you escape work stress and unwind. The country is filled with fantastic culture, food, and sightseeing. 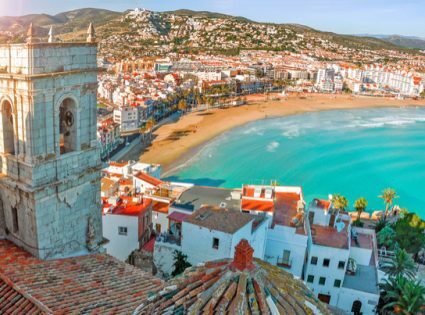 Here we explore some of the best things to see while visiting Spain. Locals may tell you that some of the best-hidden beauties of Spain require a little more inside information to come by. From historical and tourist attractions to pristine beaches, shopping, dining, and excursion adventures; Your only concern should be which activities to do first! The Cathedral of Santa Maria of Palma in Majorca is truly a stunning work of architecture. An interesting mix of Gothic Catalan and Northern European design, the building took nearly 400 years to complete. The Cathedral is a vantage point overlooking the Mediterranean Sea, where both the history and natural beauty of Spain are on display. This gothic cathedral is made of sandstone and withholds a captivating presence. You will surely fall into a total awe, once you have stood along the seafront and gazed up at its golden exterior above the old city walls. Located in Tenerife Canary Islands, the Siam Water Park is ideal for those looking for something a little more exhilarating. One of the most spectacular water attractions in Europe, the park boasts eleven thrilling aquatic rides. The park is incorporate a distinct Oriental twist, with a Siamese theme and serves popular Thai food in the park’s restaurants. 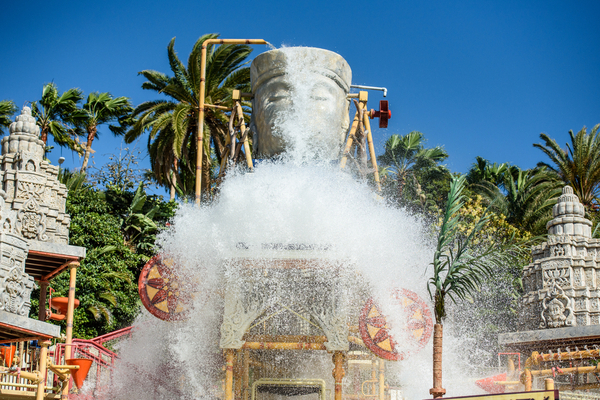 This provides a unique vibe to the attraction where you can enjoy a day in the glorious Spanish sunshine. The heart of Barcelona’s nightlife is the popular area of Las Ramblas. 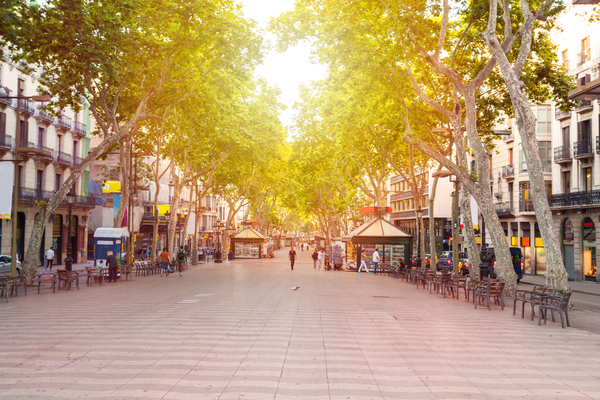 Las Ramblas is a tree-lined pedestrian street in the heart of the city. This area is home to a large and diverse number of restaurants, bars, and nightclubs. Alive with street performers, Las Ramblas is a popular location for tourists and locals alike. Las Ramblas has all the ingredients to provide you with a memorable and Latin-flavored night out on the town. The city and province of Granada are a unique place to explore. With a strong culinary tradition and electric nightlife, this city offers something different compared to some of the larger cities of Spain. 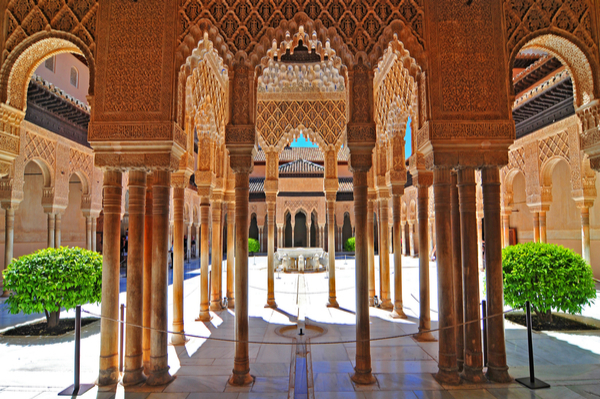 Inside of Granada, you will discover the breathtaking Alhambra. Alhambra is an expansive Moorish fortress built in the 9th century. The castle is a must see for those with a penchant for history and stunning architecture. The site of Alhambra and the Albayzín once formed the medieval part of the City of Granada. Even today the city preserves the remnants of the ancient Arabic quarter. The Alhambra Castle has also been deemed as a UNESCO World Heritage Site. From awe-inspiring historical sites to state of the art contemporary museums, Spain has plenty to offer. Furthermore, exploring the animated nightlife, the delicious cuisine, and friendly locals will take you on a once in a lifetime adventure. With locations and attractions to suit all tastes, you can be assured of a holiday filled with plenty of things to see while visiting Spain.